The warm weather here in California has me dreaming of summer. Already I'm seeing shorts and tank tops everywhere as well as lines out the door for ice cream. 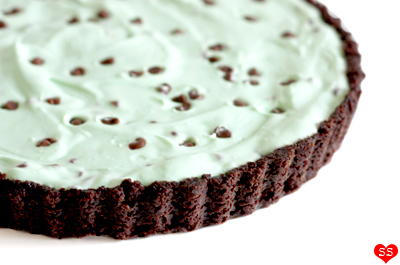 So, with a craving for something sweet, cold, and refreshing, I decided to make this grasshopper tart. 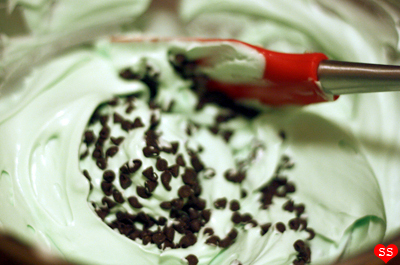 With my love of all things mint chocolate chip, this was right up my alley. 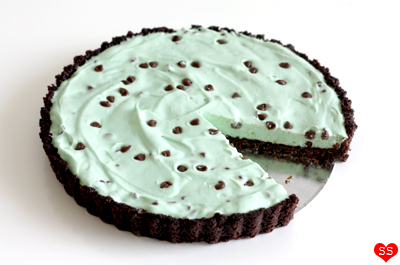 This tart is a remake of the very retro grasshopper pie, a slightly boozy mint chiffon pie with a chocolate cookie crust, based on the grasshopper cocktail (equal parts crème de menthe, crème de cacao, and fresh cream). 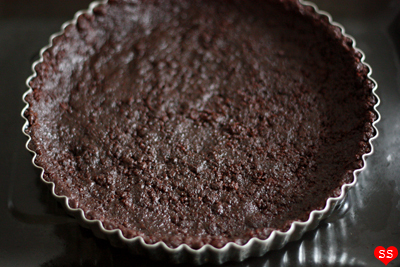 What I really like about the tart version is the higher crust to filling ratio (when it comes to pies and tarts, I'm very much a crust person) and the addition of mini chocolate chips. 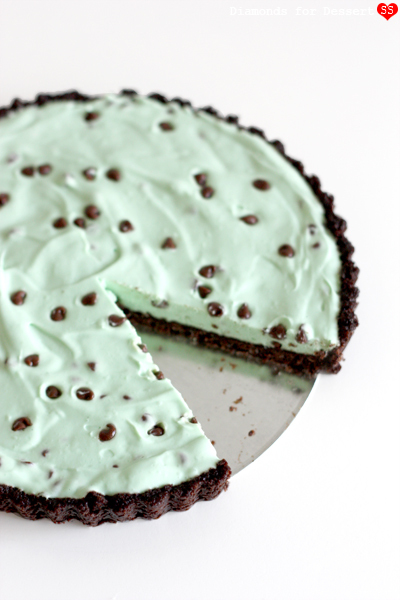 This is definitely a wonderful treat for a hot day, or any day, if you love the combination of mint and chocolate.